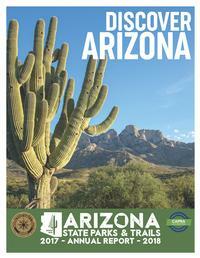 Arizona State Parks protects and preserves 35 State Parks and Natural Areas. The agency also includes the State Trails Program, outdoor-related Grants Program, statewide outdoor recreation planning, the State Historic Preservation Office, as well as the Off-Highway Vehicle Program and more. Arizona State Parks manages eight of the top 25 most visited natural attractions in Arizona. 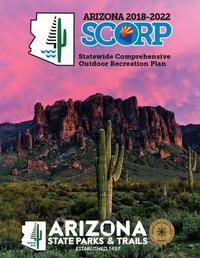 The 2018 SCORP includes research on Arizona’s outdoor recreation situation, national trends, and other influences. Special sections include outdoor recreation and tourism, wildlife related recreation, and reports on trails, off-highway vehicles, boating, and cultural resources. 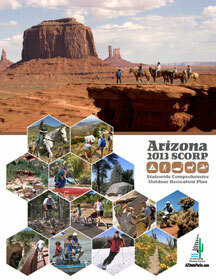 The 2013 SCORP includes research on Arizona’s outdoor recreation participation, national trends, and other influences. Special sections include the benefits of parks and recreation, outdoor recreation and tourism, wildlife related recreation, and reports on trails, off-highway vehicles, boating, and cultural resources. Through regular feedback we solicit from our visitors and stakeholders, key plans are created that encompass the full spectrum of recreational opportunities. This data is prioritized to provide direction for all our providers, public and private, and at all levels of government. These plans inform the Six-2030 Agency Master Plan, a long-term document that sets overall agency direction for the next twelve years, consistent with statewide plans and priorities. 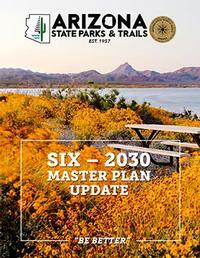 Progress towards agency directives identified in the master plan takes place through the implementation strategies identified in the 2018 Arizona State Parks and Trails Strategic Plan. Arizona State Parks staff, in collaboration with Arizona State University, conducted a series of surveys to find out about which types of motorized or non-motorized trails the public uses, how often they use trails, trails preferences and how land managers should improve trail experiences through their time, money, and efforts. 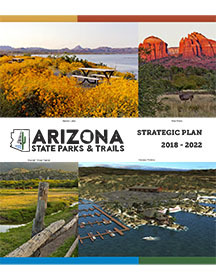 After analyzing the results of this year-long public involvement effort, Arizona State Parks staff drafted a trails plan that provides information about trail users, their preferences, opinions, and important issues facing recreational trails and off-highway vehicle routes in Arizona. The plan also offers a list of recommendations and priority actions that both trail advocates and land managers can implement in order to protect and improve Arizona's thousands of miles of motorized and non-motorized trails. Some of the top trail issues for motorized and non-motorized users were litter and trash dumping, closure of trails, and keeping trails in good condition. The priority recommendations listed in the plan will be used to develop grant rating criteria and distribute monies from the Off-Highway Vehicle Recreation Fund and the federal Recreational Trails Program. To determine the number of days of recreational watercraft use in each of the state’s counties by boat use days and person use days. To determine the water-based and non-water-based recreational activities, assess current facilities, programs and attitudes about water related-recreation issues and inform future priorities and distribution of resources. 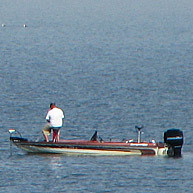 The information on recreational watercraft usage patterns on Arizona’s lakes and rivers is necessary to plan for enforcement activities and resource allocation. 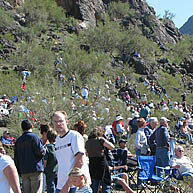 Arizona State Parks and Trails worked with Arizona State University and other stakeholders to draft the new Arizona State Parks and Trails Strategic Plan. The priorities and focus areas of this plan are consistent with the issues and priorities identified in the 2018 Statewide Comprehensive Outdoor Recreation Plan. This plan reflects the agency’s goal of responsible fiscal management combined with explosive growth statewide. To reflect this, the plan is organized around a key pillar of Optimization of System Vitality. We are linking our goals and objectives to nationally-identified priorities and community impacts to ensure that we are drawing on best practices and our efforts are consistent with our colleagues across the nation. The identified goals and objectives focus on the National Recreation and Parks Association’s three pillars: Social Equity, Conservation, and Thriving Individuals and Communities. In order to accomplish the goals and objectives in this plan, we are focusing on operations and development, resources (natural, cultural, human, and financial), economic impacts for communities, programs, and partnerships. Using these categories as a guide, we will implement strategies that move our agency forward in innovative and creative ways. In the last 55 years, 32 parks have been added to the state parks system and many different programs are now being managed by the agency. Federal grant programs include the Land and Water Conservation Fund and the Recreational Trails Programs, which include both motorized and nonmotorized divisions, and the Federal Historic Preservation Grant Program. The state grant programs include the State Lake Improvement Fund, recently eliminated Heritage Fund *$10 million for rural communities, Law Enforcement and Boating Safety Fund (transferred to Arizona Game & Fish Department in 2011), and voter protected Land Conservation Fund ($20 million per year), which ended in 2011. Grants will be distributed from that Fund until the monies are disbursed. Another statewide program, the State Historic Preservation Office, was added to the agency in 1982 and assists private citizens, private institutions, local governments, tribes, and state and federal agencies in the identification, evaluation, protection, and enhancement of historic and archaeological properties that have significance for local communities, the state of Arizona, or the nation. The role and function of the SHPO is defined in both state law (Arizona Historic Preservation Act) and federal law (National Historic Preservation Act, as amended). Prepared by the Arizona Hospitality Research & Resource Center, Center for Business Outreach, The W. A. Franke College of Business, Northern Arizona University. 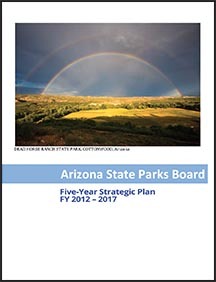 The estimated total economic impact of all Arizona state parks on the state has also been modeled in this study using IMPLAN. To perform this analysis, visitor spending in the parks was combined from all parks by sector. 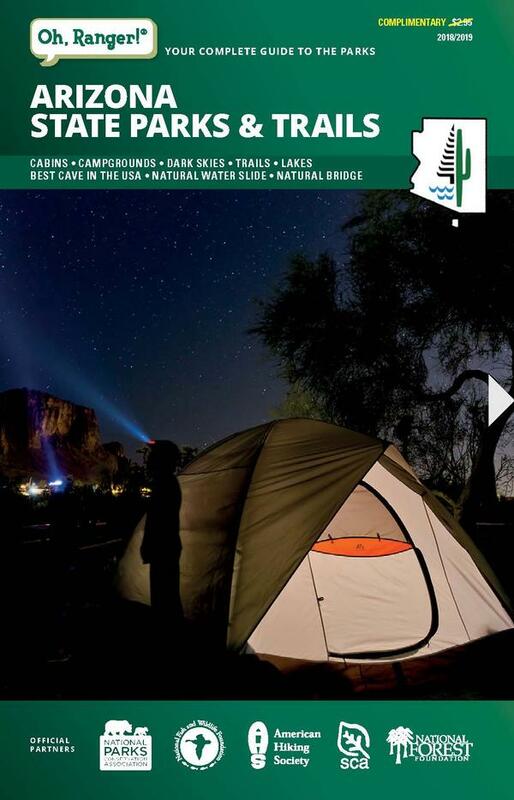 It was estimated that Arizona State Parks' visitors spent a total of $209,722,879 in FY14. These total direct expenditures of $209.7 million resulted in an estimated $130,063,972 in direct impacts, $40,451,170 of estimated indirect impacts, and $56,222,368 of estimated induced impacts. When the effects of direct, indirect and induced impacts are combined, the total estimated impact of visitors to state parks in Arizona during FY14 is $226,737,510. This total state impact resulted in 1,621 estimated direct jobs and 745 indirect jobs for a total of 2,367 jobs. Finally, visitors’ expenditures combined with their direct, indirect, and induced impacts resulted in an estimated $17,550,855 in federal government taxes and an estimated $15,895,473 in state and local government taxes. The total estimated tax impact of Arizona state park visitors in FY14 was $33,446,328. 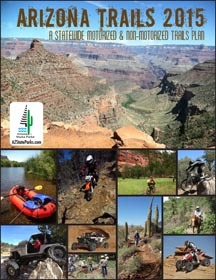 State Parks Board report to the Arizona Legislature regarding Off-Highway Vehicle (OHV) funds.